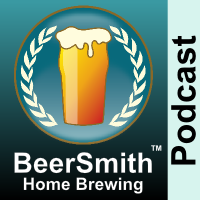 Randy Mosher, the author of Mastering Homebrew, Radical Brewing, Tasting Beer and Beer for All Seasons (all Amazon Affiliate Links) joins me this week to discuss why so much of what we know about beer history is in fact wrong. Randy also has a new web site at RandyMosher.com as well as one at RadicalBrewing.com. Randy had an AHA Conference presentation this year entitled “Almost Everything You Know About Beer History is Wrong” – which is the basis for today’s podcast. He explains why stories, often created by the marketing department, often take on a life of their own and are often passed on from generation to generation. We discuss why beer history is a real challenge to study – even going back 100-150 years it is often difficult to find detailed sources on the actual beers brewed. Randy tells us how many styles have changed over time – often every generation – to the point where modern beers often have little resemblance to their historical counterparts. We discuss some sources available to beer historians. Randy discusses the importance of images, graphics and labels in studying beer history. We talk about Porter and how this style has constantly evolved over the past 300 years. He shares why the origins of IPA may be more complicated than we are told. We discuss the origins of lager versus the myth. Bock and Belgium beers have also evolved significantly over time. Some styles like modern Trappist ales and Farmhouse ales appear to be a relatively modern beer development. Randy shares the “true” history of Anchor Steam beer, which is arguably the first modern US craft beer. Randy shares his closing thoughts.